Do you ever wonder if you really make a difference? Do you ever wonder if what you’re doing really matters? Do you ever feel that your contribution is meaningless? I’ve been thinking about this subject over the past few weeks. My thoughts became increasingly poignant when I watched a video the other day about WWII and some university students that tried to protest the Nazi regime through their own propaganda. In the end, the investigation pointed to 3, but mainly 2 students that had masterminded the majority of the information and distribution of the propaganda. They were executed for their efforts. However their legacy lived on and their voice was heard and made a positive difference. After wiping away the tears, I got to thinking….am I making a difference? Is what I’m doing really going to matter? My first thoughts were rather discouraging. But as I started to analyze my influence a bit more deeply I began to picture a pebble being thrown into an enormous lake. True, for the most part it would go unnoticed. But, that tiny pebble would cause ripples, even a bit of a splash, and had the power to even rock a boat. I am not perfect. But I am trying my best. I am a child of God, a woman, a wife, a mother. I may not matter to others but I do matter to some, and I do matter to God. He sees me. He cares. He knows of my efforts. I also know that every day I am making a statement. Every day that I choose to put my God, my marriage and family first I am telling them and everyone that will take notice that I know what real success is. Every day that I choose to use kindness instead of anger, disdain, or negativity, I am testifying that goodness wins. Every day that I choose to protect and sanctify my body with healthy habits and modesty I am showing God that I am grateful for His gift to me and my family and anyone else that will take notice that our bodies are sacred. Every day that I walk out with my family I am showing that I know that we are ALL beloved children of God, that He sees us, not our skin. Every Sunday when I’m going to church and spending the day in a worshipful attitude, I am testifying of my belief in the teachings of the Bible. Every day that I choose virtue and integrity over convenience and image I am telling my children what really matters. What I say and what I do says to the world and especially to my family what and who I am. I think as Moms we sometimes get mixed messages. The world tells us to do all and be all. This is more in the sense of superficial success, a skin-deep perfection…..have the amazing career, the money, the “perfect” body, the “perfect” house and the “perfect” family. Not only is this a tainted view of happiness, it never really brings happiness. On the other hand, the Lord tells us to be virtuous and true to Him, our husbands and our families. Our purpose and mission is to teach and guide and lead the children of God to be the leaders and kind of people He wants them to be. What amazing trust our God must have in us women! While trying our best and looking to God to fill in gaps, will bring happiness and even joy as we strive to fulfill this incredible role, it can seem daunting at times and we can become discouraged. Part of this discouragement often comes from the fact that although we have basic scriptural outlines and the Spirit to guide our efforts, we will find that there is no “blueprint” for success. Every woman and family is different and there are many details that the Lord will guide us in but not mandate. Then we have our own personal demons to root out of our being. We all have weaknesses and while a spouse and children can help bring out the best in us, if we are not careful we and they can also end up with the worst of us. Thankfully, this is all part of the plan. Just like a precious metal or gem, we cannot reach our potential without some tempering, some heat, some pounding off of rough edges. As I was pondering on what I needed to do to be the kind of person that God wants me to be, and make the difference that I need to make in my children’s lives especially, I then pictured the little “Refresh” icon on my computer. Every now and then I have to sit back, look around, ponder, pray, study and click “Refresh”. The beauty of the atonement is that it works for everyone. I am not perfect BUT I can try again. I still have much work to do. I know that I am not alone in my quest. I know that my contributions seem small, but they are needed and they matter. I will “Refresh” and be better each day. 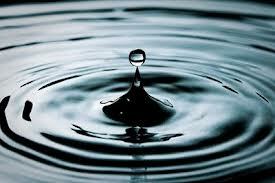 Even if my life is only a pebble, the ripples will make a difference. Now I’m going to go hug my family and tell them I love them. Good night!